Music has the ability to move people and help them get out of the rut. It brings them up when they’re down and pick them up even when they’re happy. Someone said that the music, not money, makes the world go ‘round, but with our music themes, we can help your business come around. Whether you have a record label, a music studio, your own band or you’re launching a solo career as a professional DJ or a singer, we have the perfect user-friendly and responsive templates. Here is the list of the most popular WordPress music themes you can set up in minutes. If you want to have an online music store that is easy to use both for you as an admin, and for your website visitors, you don’t need to look for more suitable WordPress music store theme than this. Advanced features are easily accessed and can be edited through a simple admin panel. This modern-looking audio WooCommerce theme will help you sell music online. Every musician wants to attain a larger audience and increase the number of their followers. 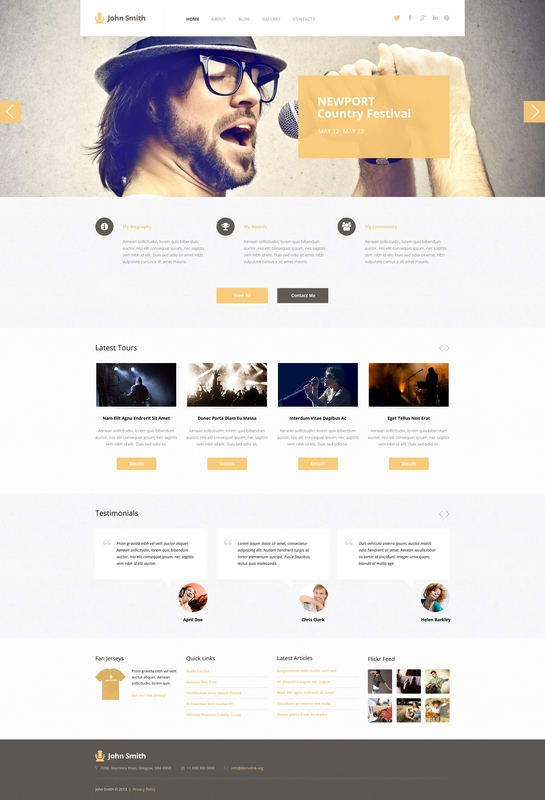 With this music artist WordPress theme, your band will get the attention it deserves. 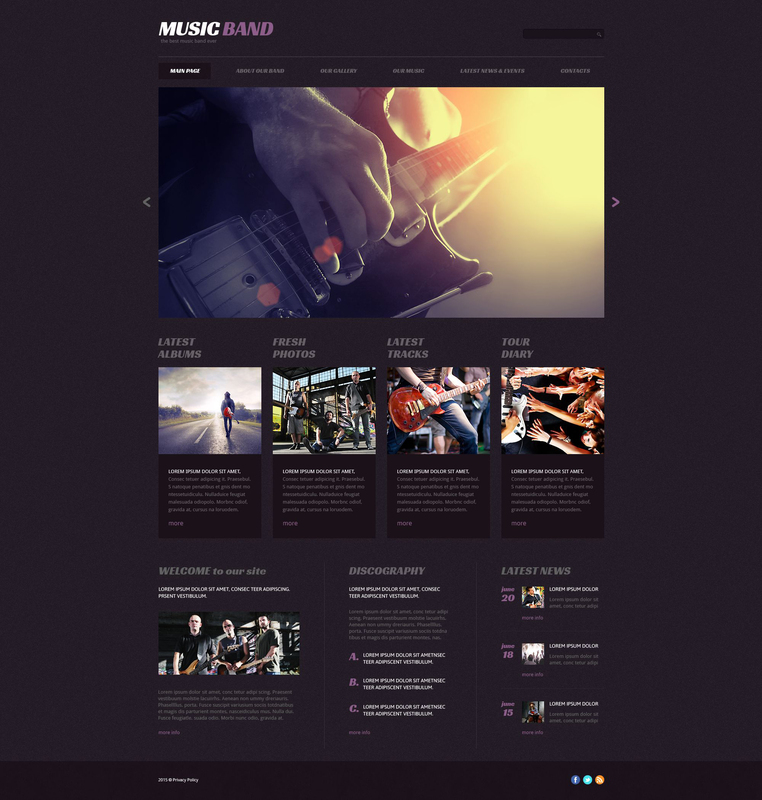 This template is not only perfect for professional musicians, but also it’s a great music festival WordPress template. The design will help you showcase important links, albums, and photos. Nowadays the majority of people buy music online. If you need an easy-to-use WooCommerce template, this music store can work wonders for your sales. The first thing that will catch visitors’ attention is the full-width background video. There is a product card for each item as well as a star rating. Users can easily add products to their wish list and proceed to check out when they’re ready to make a purchase. 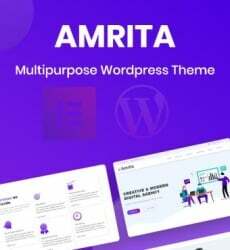 If you’re looking for WP music themes suitable for launching your singing career, this template is perfect for creating a great online presence. There is a plenty of white space so your page doesn’t look stuffed with too many sections and doesn’t draw the attention to unimportant sections. This user-friendly information distribution is great for guiding the visitors through your website in a seamless and effortless fashion. The first thing everybody will notice is a large slider where you can embed rich media files like photos, links, and calls-to-action. The footer provides an ample space for all the important links, posts and data. It’s not a question whether your recording studio needs a website. Today if you’re not on the internet, your business is losing clients. But all is not lost – we have a perfect and easy-to-setup WordPress theme for music and recording studios. 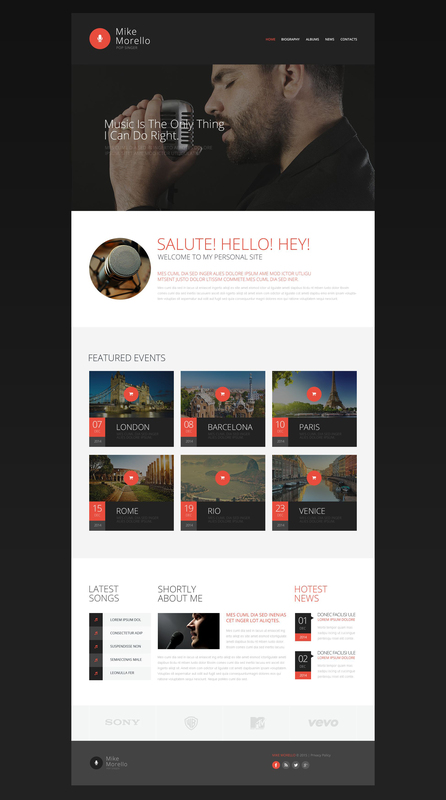 This particular template is 100% responsive, which means people can access it both from mobile gadgets and desktop computers. 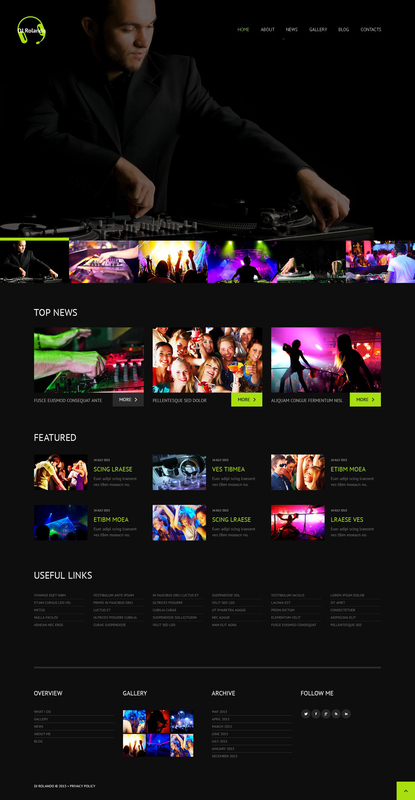 This is one of the best dj WordPress themes if you are a professional music artist or a DJ who wants to show the hottest tracks. Popularity might come easy when you’re a DJ, but having a great-looking website can help you attract more followers. You will be able to share upcoming performances and tours, as well as promote your newest sets. Social media icons stand out with ease in the dark background. WordPress music themes are usually either too dark or too bright. If you’re looking for something with more color, this vivacious WordPress music store template will surely stand out in the sea of competitors. This WooCommerce team comes with a drop-down menu, an easy navigation, a compare-item feature and add-to-wishlist buttons. If making a great music is your thing, then it would be a shame not to have a great online presence. Picking one of the WordPress themes for music artists is easy when you know what to look for. This template comes with a dark background and perfectly distributed information blocks. The stylish main menu rests fixed to the top. Showcase the newest single or video from your last performance and promote your social media profiles. 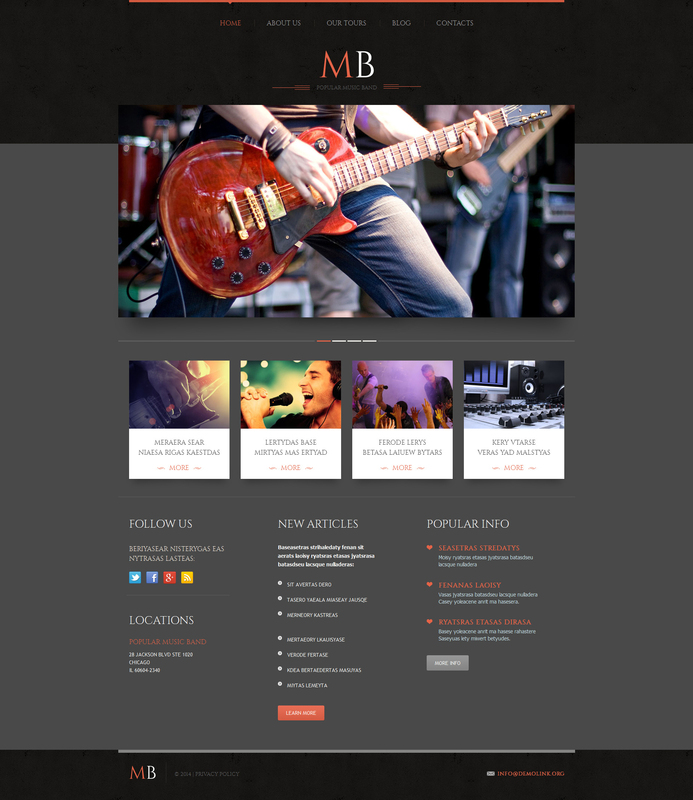 This WP music theme lets your content shine. That’s the main point of having a music band WordPress theme, right? You can place all the information regarding your tour in an attention-grabbing block. This way your followers will immediately see when and where will you perform next. The footer has enough space to hold all your important links. 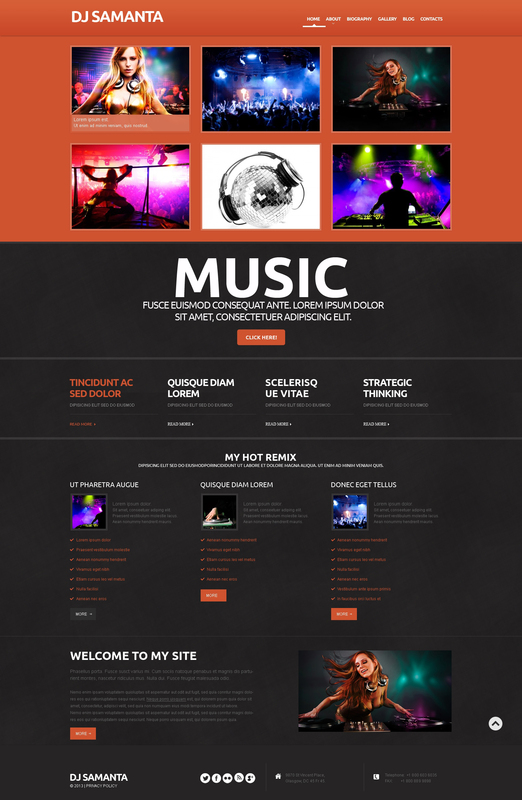 By visiting this theme, your followers will feel like they are already in the club listening to your hottest tracks. The color scheme will appeal to all the clubbers and party maniacs. If you are in a club business, then this music club WordPress theme will allow you marketing upcoming parties and events at your venue. There is even a testimonial section. If you’re organizing a music event or want to vaunt your best DJ tracks, this is a perfect time for you. Whether you need a music festival WordPress theme or an online portfolio for your DJ skills, a large grid is the first thing your visitors will see. This way you can showcase multiple projects, performances, and popular video clips. All audio and video formats are supported. Trying to get your name out there as a professional singer? 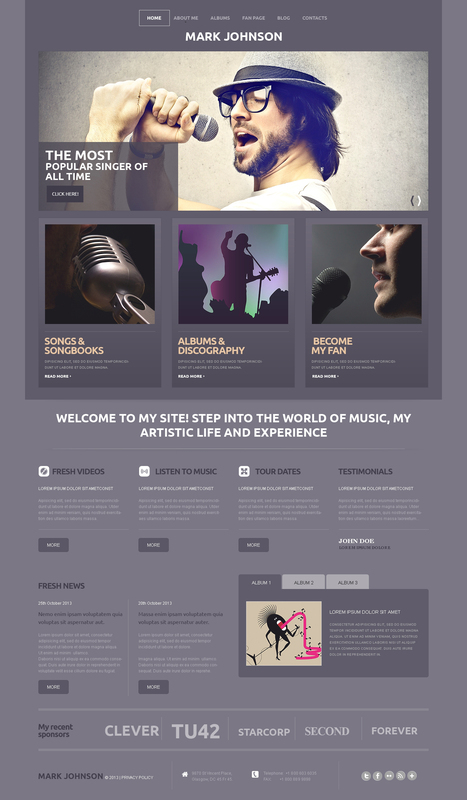 A responsive music artist WordPress theme can help you reach a wider audience and gain new fans. This easily customizable template will allow demonstrating your latest work, videos from the past performances, or audio files. Engage your fans on an entirely separate page dedicated just to them. All these music WordPress themes are 100% responsive and SEO-friendly, making sure your solo career, DJ website, a music store, and any other music-related project are off to a great start. The number of WordPress themes is virtually unlimited, but this list will help you choose the right one since they are all specifically created for a music business. 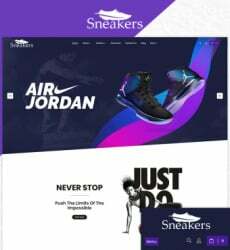 Also, they all come with a user-friendly and fully responsive design, a simple and intuitive navigation, as well as social media integration. We would also recommend you to buy WordPress themes in case you need a wider choice of website building solutions.